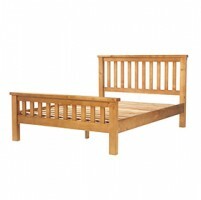 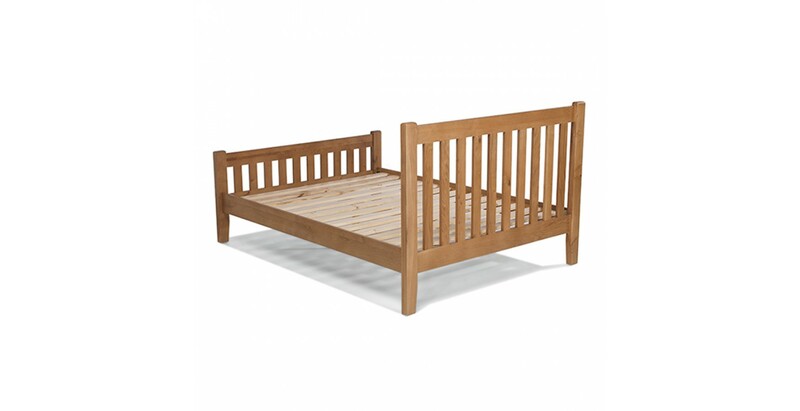 You might find your bedtime getting earlier and earlier when you know you've got this superbly crafted double bed to slip into. 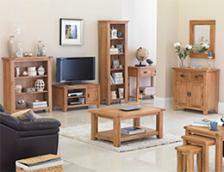 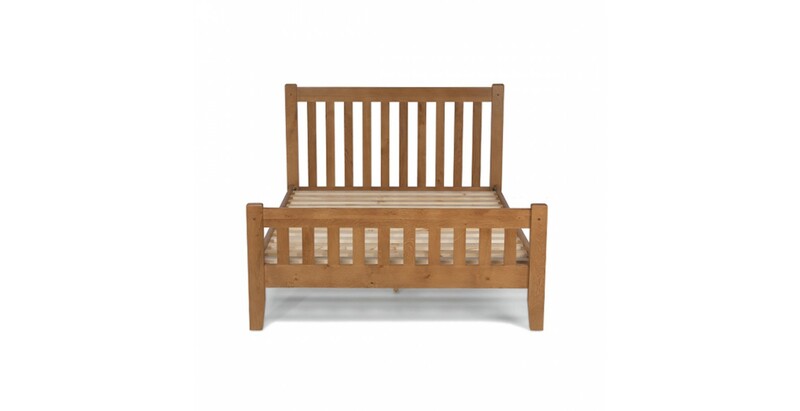 Simply designed, its timeless rustic appeal will blend effortlessly in to almost any backdrop. 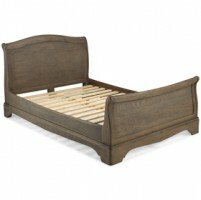 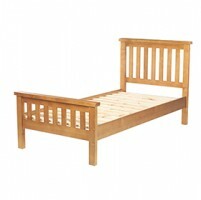 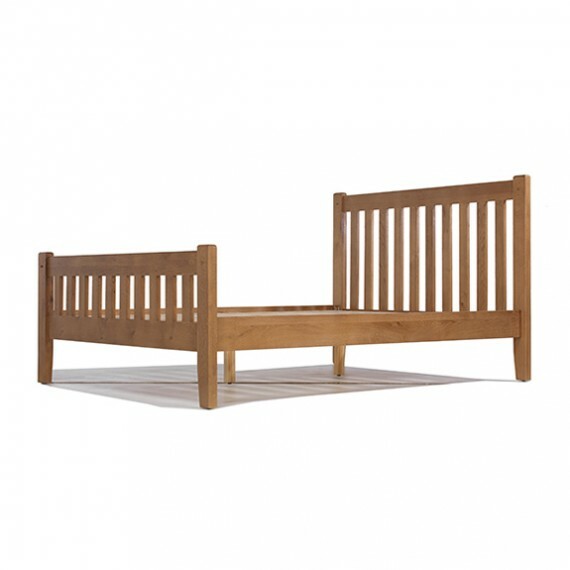 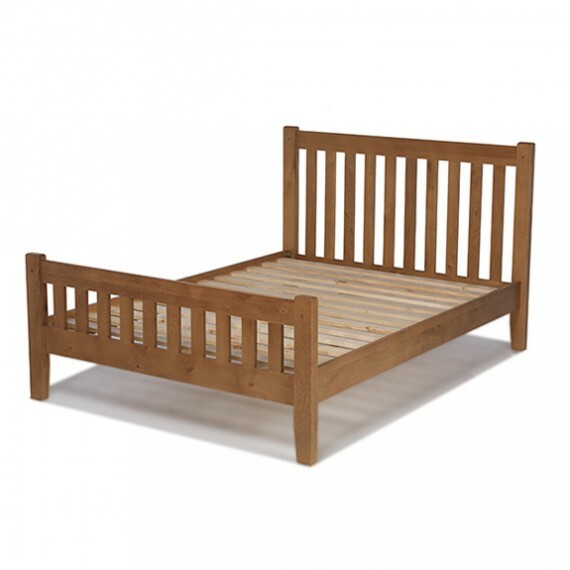 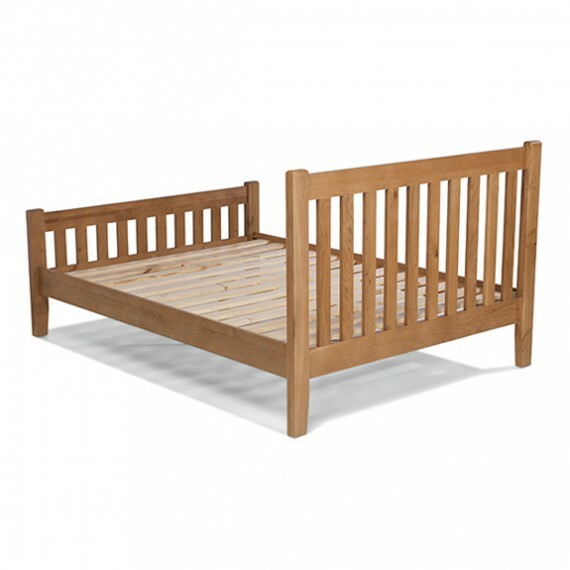 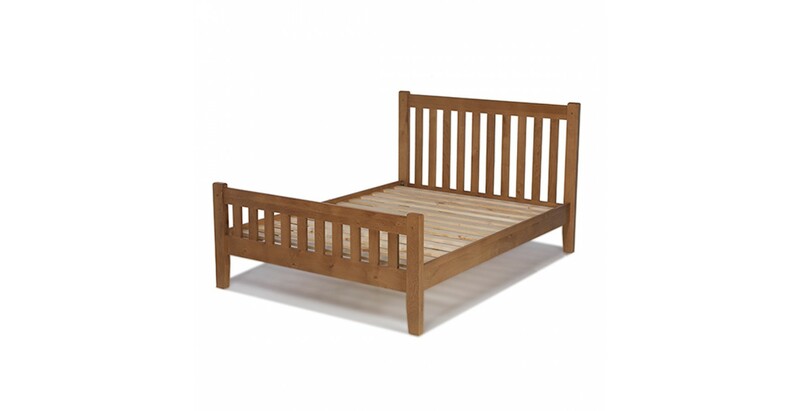 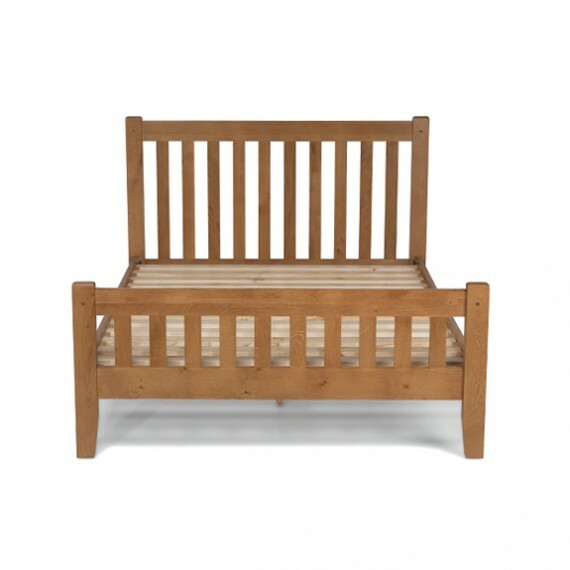 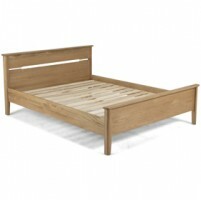 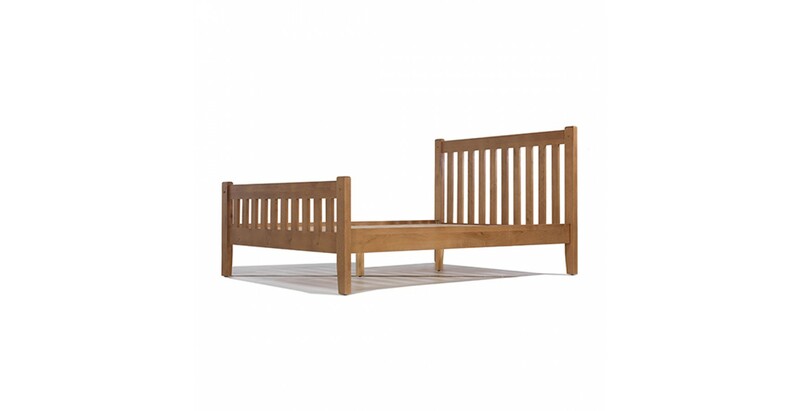 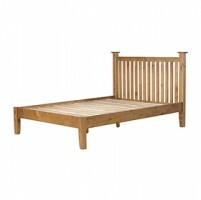 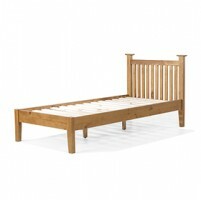 Full of natural character with its distinctive grain and knots brought out to perfection by a natural lacquer, it has elegant slatted head and footboards and subtle peg detailing and stands firm on sturdy, tapered legs.